After having a binocular, the main thing is to know is how to focus binoculars in the right way. With the eye problem, you may feel it difficult. Besides, binoculars have generally two types. The focusing systems of these two are not the same. So, after purchasing a binocular, you need to focus it to see the object clearly. 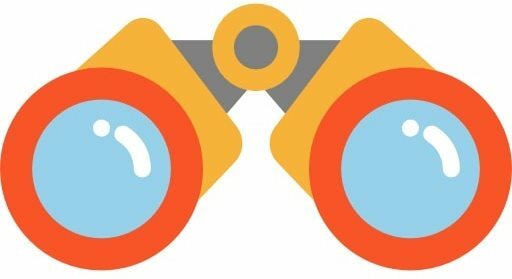 I think you will see that it is easy to focus a binocular after reading this article. Binoculars are mainly two types depending on focusing. They are center focus binocular and individual focus binoculars. Let’s see the processes of focusing the different types of binoculars. Most of the modern binoculars are center focus binoculars. This type is easy to use. In a center focus binocular, the center focus is as like as a wheel that is at the center of the binocular. Usually, the wheel is at the middle side of the two barrels. You can use your fingers to move the wheel. Let’s see the steps of focusing a center focus binocular. At first, you should correct the eye relief and IPD distance. Then the right holding position. After confirming all these, you will feel comfortable to see the whole circle or entire field. Then select an object of moderate distance as the target and look through the binocular. Now close the right eye. Or you can also block the right lens with the objective lens. Look through the left eye to the target and use the focus wheel to focus the image. When you have the clear and sharp view, you have done it. Then it is time for the right eye. Look at the object and use the diopter to see the image in the focus position. In this case, do not use the focus wheel. Just rotate the diopter to see the sharp image. You can take the note of the setting that you have done. Use the setting when you change the setting in the future. Individual focusing binoculars are easy to focus. Let’s see the process. Look at a distant thing through the binocular. Then close your one eye and see the object with another eye. Use the diopter to have sharp, crisp image. Now open the closed eye and close the other eye. Again use the diopter and set it to the point to see the image clearly. Then see the object through the binocular with both eyes. If you are able to see the clearest image, you have successfully focused the object. That is the clear concept about how to focus binoculars. To get the best result from your binocular, you must focus it properly. Focusing on these two types of binoculars are not complicated. Now enjoy clear and crisp images during your hunting, birding and other purposes. Without correct focusing, you cannot use your binocular with full satisfaction.